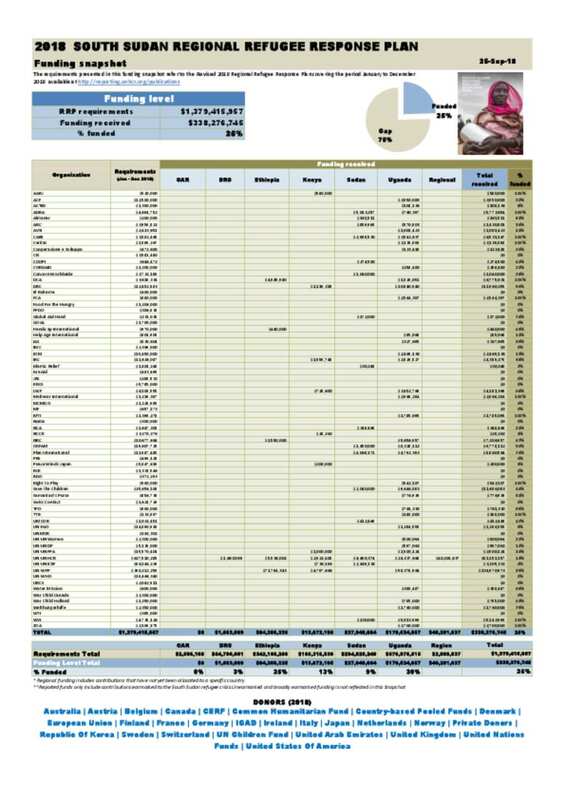 Document - 2018 South Sudan RRP Inter-Agency Funding Snapshot 25 September 2018. 2018 South Sudan RRP Inter-Agency Funding Snapshot 25 September 2018. Funding Snapshot 25 September 2018.